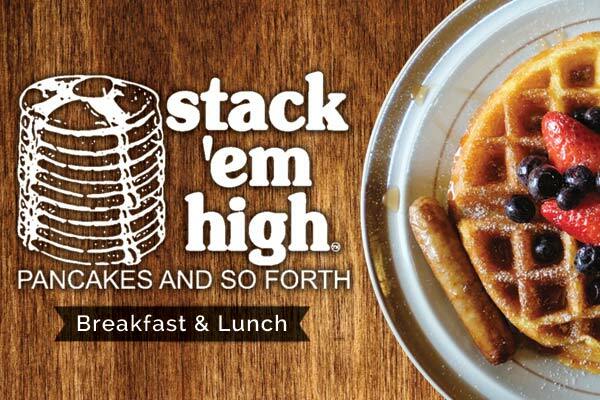 Stack'em HighThe Outer Banks’ Premier Pancake House and Breakfast Destination! July 22, 2013 - Better Ingredients Make a Better Breakfast, We’re Open all Year… Come On In! Before you put your feet in the sand, put a delicious breakfast in your tummy! That’s what locals and visitors on the Outer Banks have been doing since 1981. As soon as you walk in the door, you’ll feel a warm and inviting atmosphere. Every omelet and pancake is made with the finest, freshest ingredients. Better ingredients make a better breakfast. At Stack ‘em High, the number one ingredient is CARE! We want your breakfast to be the best part of your visit to the OBX. Bring the family and enjoy a hearty breakfast everyday on your stay at the Outer Banks.